Cat #20481 | I Want To Draw a Cat For You! Becca gifted a cat to her brother, Bryson! 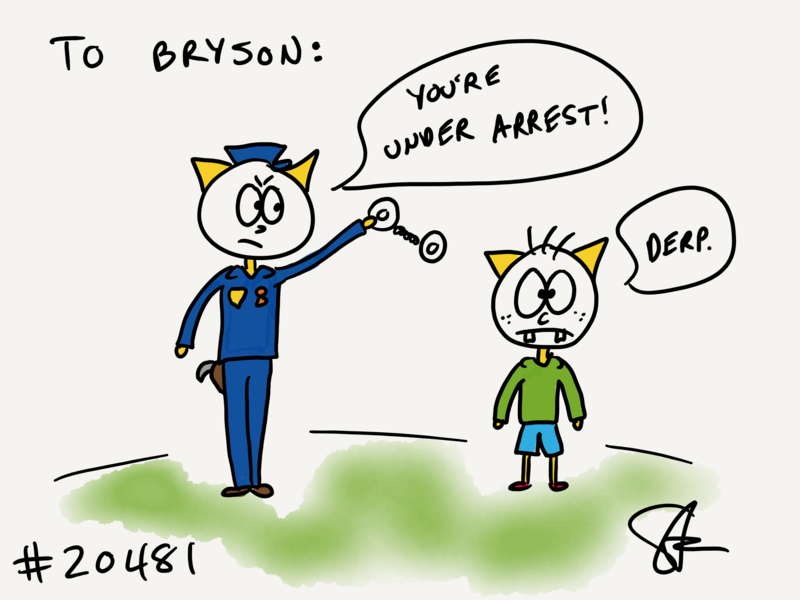 She wanted a Bryson cat being arrested by a police officer. Whoopy!